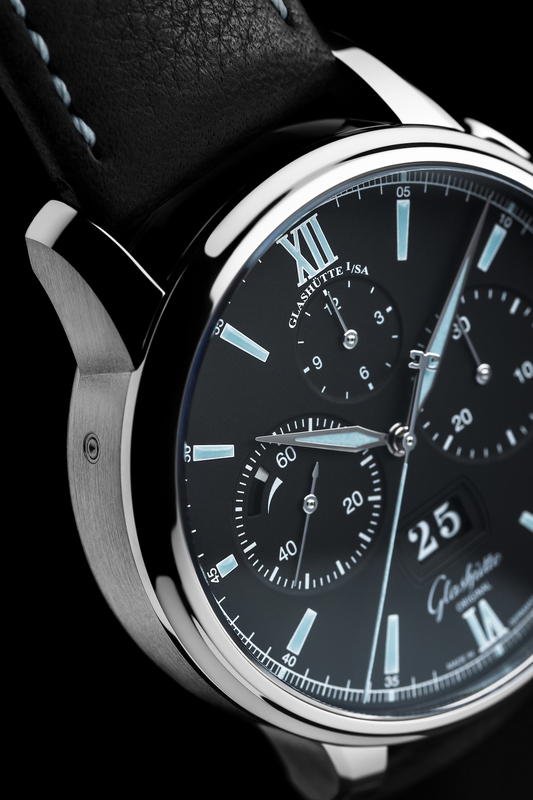 The 2014 premiere of Glashütte Original’s newly developed Calibre 37 integrated chronograph movement triggered great excitement: its innovative, compact and highly functional design, exquisite precision and reliable performance earned the new column wheel chronograph immediate respect in the world of watch experts and connoisseurs. The automatic movement made its debut at the heart of two variants of the Senator Chronograph Panorama Date: a superbly finished platinum and a warm, red gold version. 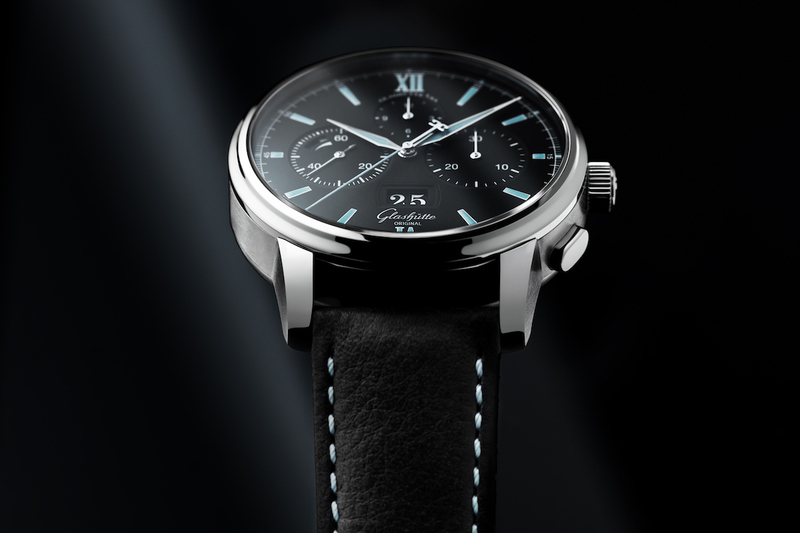 Today Glashütte Original adds some sporty charm to the line-up. A distinctive new version of the Senator Chronograph Panorama Date in stainless steel now complements the elegant inaugural models. 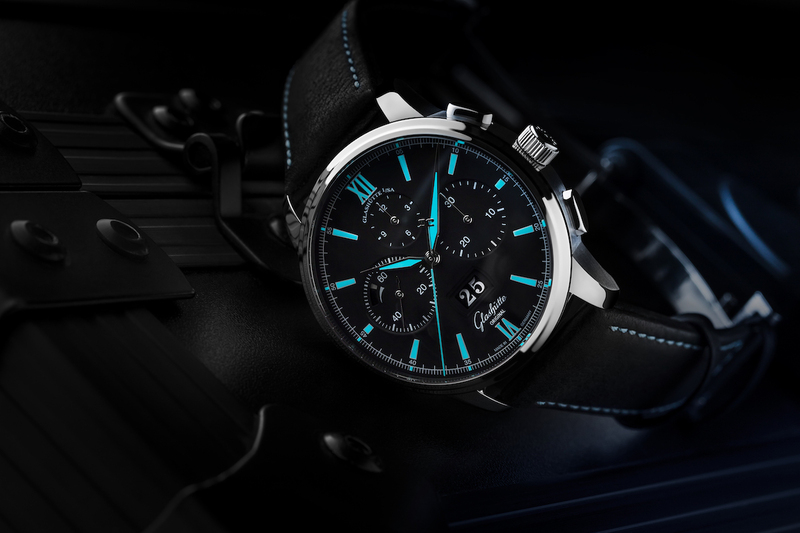 The new Senator Chronograph Panorama Date captures the eye with the irresistible allure of its contemporary design: the deep black dial is set off by high-contrast white print and enhanced by the generous use of radiant blue Super-LumiNova, which highlights the white gold hour, minute and stop seconds hands, Roman numerals at hours 6 and 12 and all hour indexes, permitting excellent legibility even in the dark. 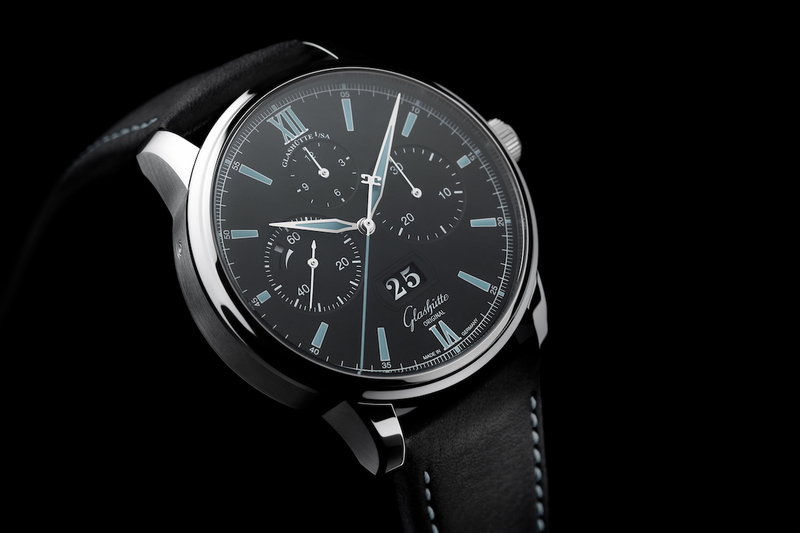 Legibility also is a distinctive feature of Glashütte Original’s unique Panorama Date. It is positioned centrally in the lower half of the dial beneath the upper-half triad formed by 30-minute and 12-hour chronograph counters and the small seconds display, in which the power reserve display is charmingly integrated. A substantial, alternately polished and satin-brushed 42 mm stainless steel case adds cool and convincing elegance to this robust, casually stylish and sporty new version. The German manufactory presents the new model with a choice of three different bracelets: the black calfskin model is sewn with blue thread, carefully chosen to complement the dial’s distinguished blue Super-LumiNova. A second strap in black rubber is adorned with a lightly textured, laser-cut decoration; both calfskin and rubber versions are available with foldover clasp or traditional pin buckle closures. A third bracelet, fashioned in polished and satin-brushed stainless steel, is easily adjusted to suit the owner’s preference using the patented, innovative closure, whose millimeter-precise 8 settings assure a superbly comfortable fit. A double security mechanism with two buttons on either side prevents accidental opening of the clasp. 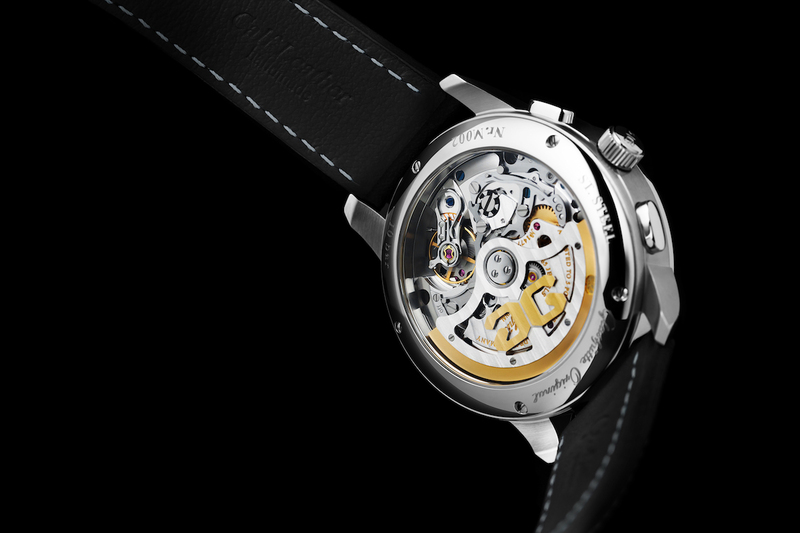 The manufactory Calibre 37-01 chronograph movement was developed to meet the German watchmaker’s most demanding standards of functionality and optimised for everyday use. Its fully integrated, compact construction with flyback mechanism and 12-hour chronograph counter make it a reliable, precise and aesthetically satisfying companion for day-to-day wear. Its ease of use and finely-tuned technical solutions guarantee simplicity of handling and excellent rate precision. The automatic manufactory movement is a persuasive piece of work, its distinctive attributes designed and integrated to form a unique synthesis. The 4Hz automatic manufactory movement assures maximum functionality through its efficient and compact method of construction. 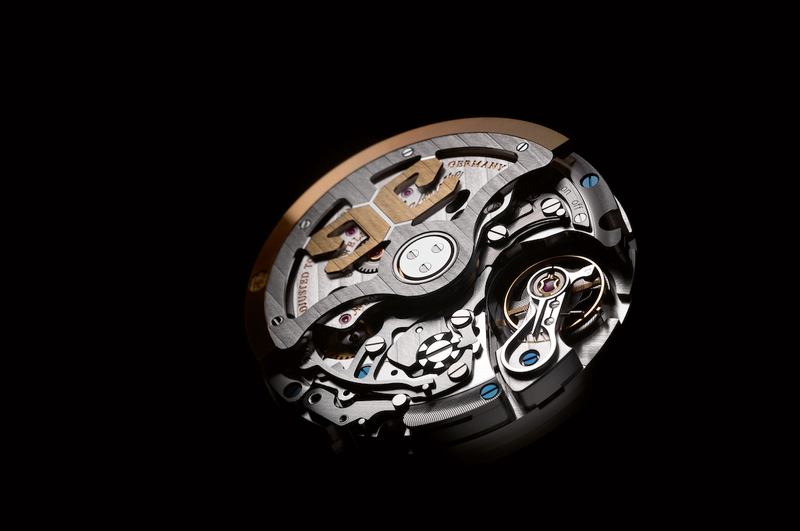 An example is the switch lever; in the Calibre 37 series chronographs, in contrast to previous designs, the lever is comprised of only one part. The movement thus guarantees the highest possible switching security, with error potential and susceptibility to interference effectively reduced to near zero. The chronograph’s reliability is also enhanced by the space-saving coupling clutch, which operates by means of an oscillating pinion. It was designed to travel the same short path when both engaging and disengaging the clutch. A number of new features enhance the new Senator Chronograph Panorama Date, all designed to assure reliability and robust day-to-day performance, no matter how demanding the owner’s activities. Water resistance has been increased from 5 bar to 10 and further enhanced by a new screw-down crown, while the dial’s generous use of blue Super-LumiNova highlights and high-contrast white detail assure superb legibility under all lighting conditions. All features contribute to making the new Senator Chronograph an absolutely reliable companion for everyday life. 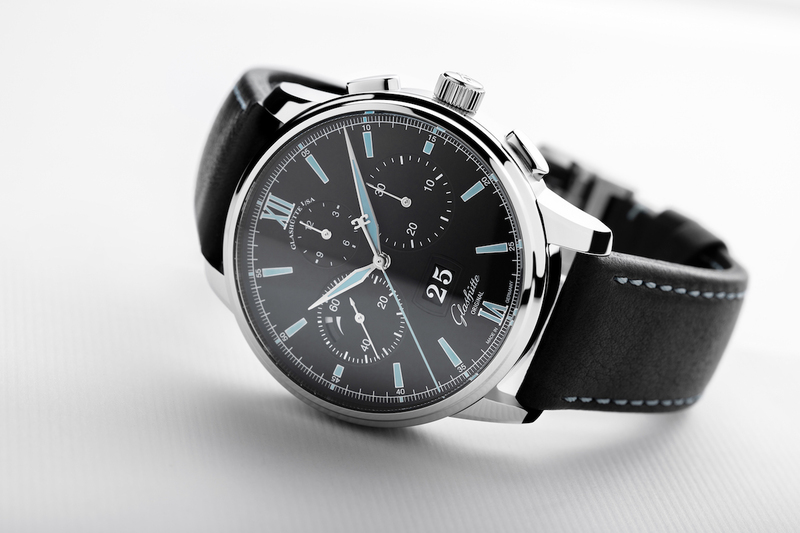 Sophisticated technical solutions assure the new chronograph’s particularly high degree of precision. Adjustment is handled without a regulator, using four gold screws on the balance wheel to enable a continuous, and thus more precise, performance of the watch over an especially long period of time. 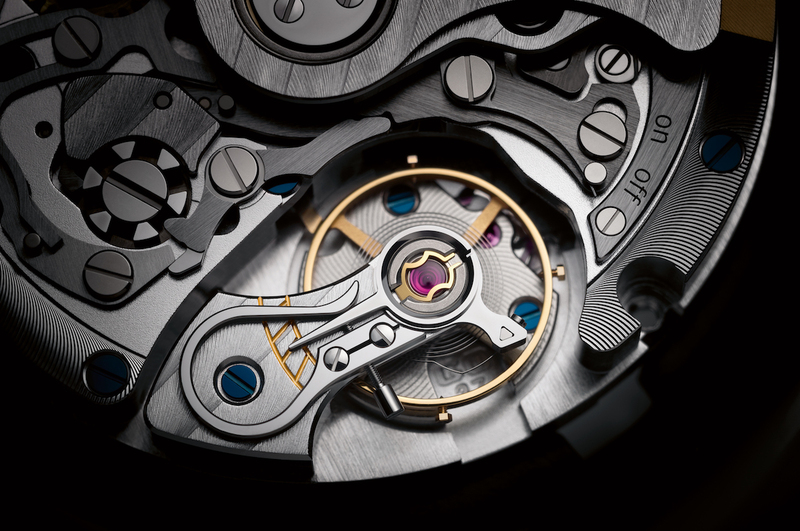 Numerous other components and functions contribute to assure the precision of the manufactory Calibre 37-01. 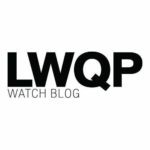 With a power reserve of 70 hours when fully wound, the automatic Calibre 37-01 represents an absolute peak value in the realm of mechanical chronographs. In order to keep the performance and amplitude stable over the entire period of time, a new oscillation system with low energy requirements was developed, effectively governed by a single spring barrel. Optimal translation between spring barrel and oscillation system assures extremely stable and precise performance with no deviations over 70 hours. The new version of the Senator Chronograph Panorama Date will be available alongside the other two versions in platinum and red Gold at Glashütte Original Boutiques and selected retailers worldwide.